Normal wear and tear of teeth as well as aging can have an impact on the color and shape of your teeth. This is why it’s important to visit your dentist regularly in order to be sure that your teeth and gums are healthy. Patients that are diligently caring for their teeth by brushing and flossing regularly but are still experiencing tooth discoloration or stains are generally candidates for cosmetic dentistry. Simple cosmetic procedures like teeth whitening, bonding, veneers, or a combination of these can have a life-changing effect. These procedures can restore your smile and your confidence! Tooth stains and discoloration can be caused by certain foods and habits as well. For example, if you are a heavy coffee, tea or red wine drinker, this can have a negative impact on your teeth. Habits like smoking and chewing tobacco can cause discoloration of your teeth as well. If you would like to keep your teeth whiter, it’s important to try to stay away from foods or habits that can cause stains or discoloration like the ones mentioned above. Rinsing with water after your morning cup of coffee, for instance, can help reduce coffee stains. Adding milk or creamer to your coffee (instead of having plain black coffee), can also reduce the tendency to stain. 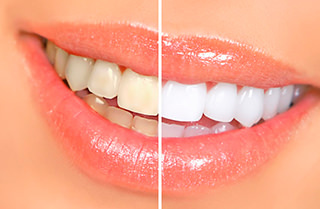 Please contact us for a consultation if you have stained teeth. We are happy to provide suggestions tailored to your diet and lifestyle designed to reduce the tendency of your teeth to pickup stains. 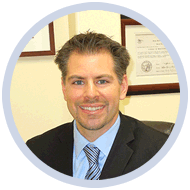 If you are uncertain which procedure is right for you, we encourage you to get in contact with our Pasadena dentist, Dr. Vasag Bouzoghlanian, today! Take the first step in the right direction to bringing back your bright, white smile!